Abstract—The purpose of this study was to investigate whether engaging students in computer supported collaborative activities in a knowledge-building environment could help them develop a deeper understanding of the nature of scientific theories. Findings indicated: 1) students’ views of the nature of scientific theories significantly changed, becoming more constructivist-oriented toward the end of the semester; 2) there was a statistically significant relationship between students’ online interactive activities and their enhanced understanding of the nature of scientific theories. In sum, engaging students in computer supported collaborative activities in a knowledge-building environment seems to be supportive in helping students develop a more informed view of the nature of scientific theories. Index Terms—Knowledge-building, computer supported collaborative learning, nature of scientific theory. Pei Jung Li and Huang-Yao Hong are with National Chengchi University, Taiwan (e-mail: 101152005@nccu.edu.tw). Cite: P. J. Li and H.-Y. 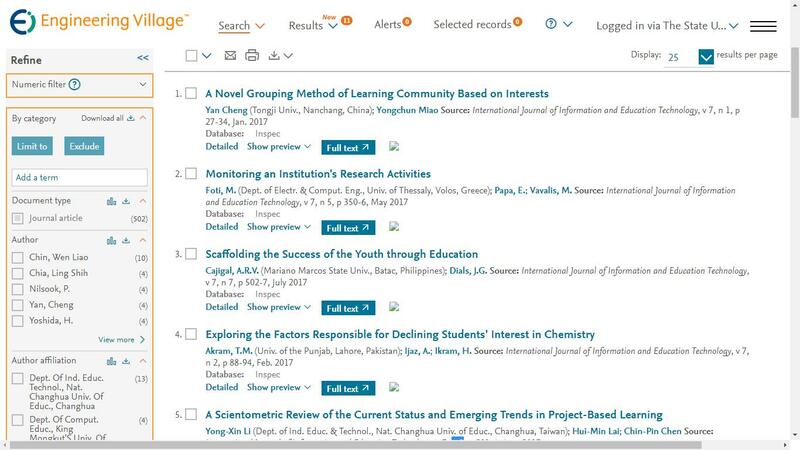 Hong, "Exploring the Relationships between Students‟ Online Interactive Activities and Their Views of the Nature of Scientific Theories," International Journal of Information and Education Technology vol. 5, no. 11, pp. 832-835, 2015.